As a Texan, trucks have been a part of my DNA since birth. One thing that I’ve learned over the years is that truck-owners love to brag about the size of their trucks, towing capacity, and off-road capability. The all-new 2016 Toyota Tacoma may not be the biggest truck on the road or capable of towing a small planet (however, the new Tacoma can tow up to 6,800 lbs when equipped with the V6 Tow Package), but it more than makes up for it with it’s off-road prowess. 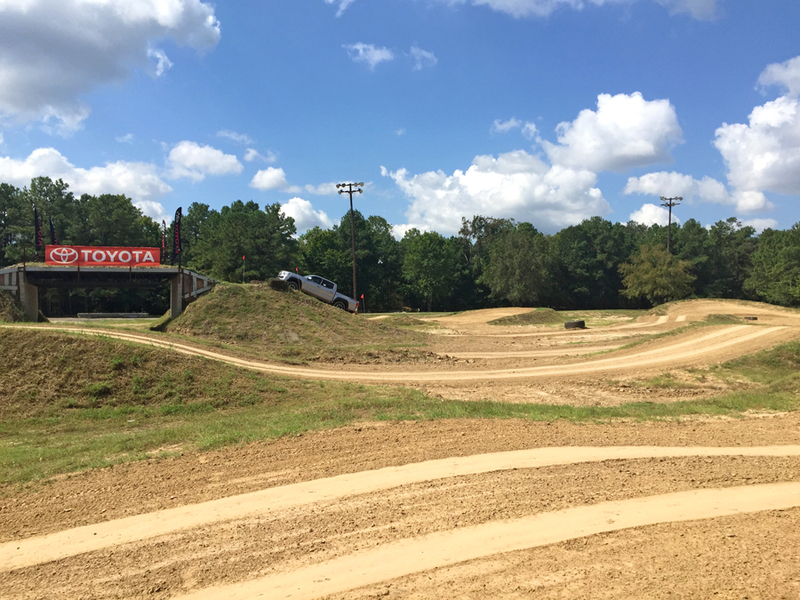 I spent some time on an off-road course in Houston, TX with a professional driver to see what the Tacoma can do when the pavement ends. Before I talk about the off-road experience, let me tell you a little bit about the all new 2016 Toyota Tacoma TRD 4×4 Sport. 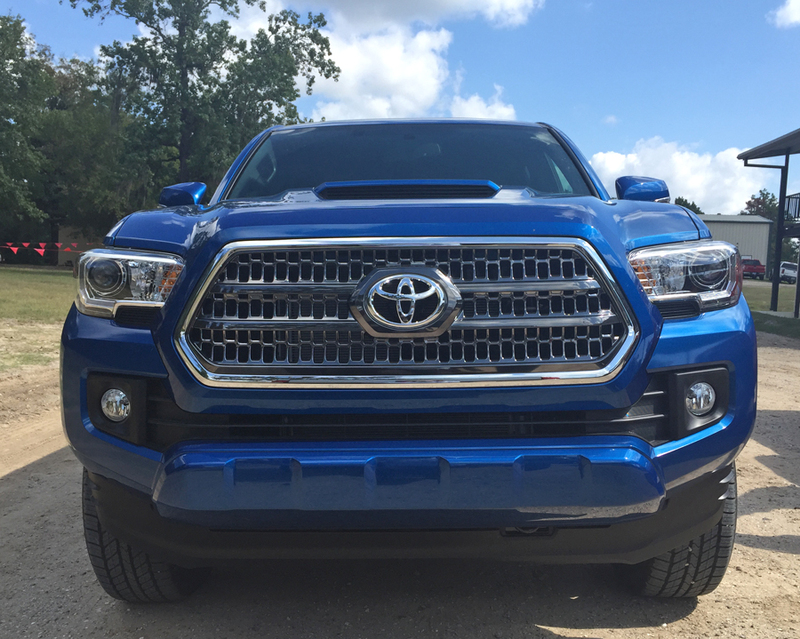 The new 2016 Tacoma was partly developed by the Toyota engineering team at Toyota Technical Center in Ann Arbor, MI. Starting with the frame, they added high strength steel to help enhance rigidity and overall strength. Ultra-high strength steel was integrated into the body shell using a new hot stamping process that reduces weight. Inside, the Tacoma features a four-way driver’s seat with lumbar support and four-way adjustable front passenger seats. The seats in the TRD 4×4 Sport are upholstered with embossed fabric that conveys a dynamic and rugged feel. There is also a GoPro mount located near the rear-view mirror. The Tacoma TRD 4×4 Sport comes with an all-new 3.5 liter V6 engine equipped with Toyota’s D-4S technology, featuring both direct and port fuel injection. The new V6 generates 278 horsepower, an increase of 42 HP over the previous V6, and 265 lb.-ft. of torque at 4600 rpm. The engine is paired with a new six-speed automatic transmission with electronic shift delivering quick and easy shifting. Toyota really stepped up its game with its off-road technology. The Tacoma TRD 4×4 Sport is equipped with sport-tuned shocks and 4WDemand part-time 4WD with an electronically controlled transfer case and Automatic Limited Slip Differential. A Multi-Terrain Select system allows the driver to choose between different types of terrain such as loose rock, or mud and sand. Additional features include Locking Rear Differential, Hill Start Assist Control, Active Traction Control, and Crawl Control. All of this advanced tech was useful when we hit the off-road track. Usually I’d drive the course myself, but this time I chose to ride shotgun with the professional driver and record my experience on Periscope (you can follow my adventures at @mochamanstyle). The course consisted of several steep hills, sharp banks, water, mud, and loose dirt. The Tacoma TRD 4×4 Sport made easy work of every obstacle we encountered. In the thick mud, the driver switched on the Multi-Terrain Select system. The Tacoma used the inputs to regulate wheel spin by adjusting throttle and brake pressure to provide maximum traction. And the crawl control made it easy to conquer every incline. Even when the driver floored it, we still remained solidly in control. Riding with the professional driver was thrilling and gave me some real insight on the 2016 Tacoma TRD 4×4 Sport’s off-road capabilities. 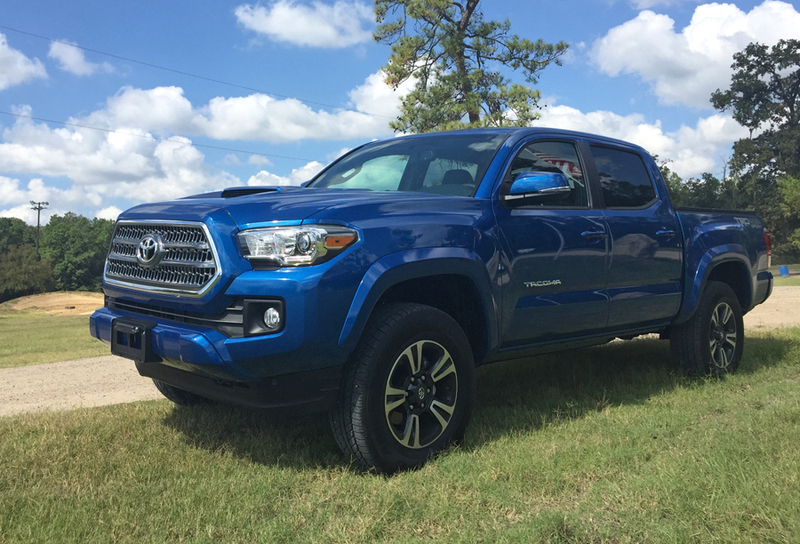 If you want a rugged, capable, well-designed truck that can handle off-road trails as well as highways, you should add the 2016 Tacoma TRD 4×4 Sport to your short list.